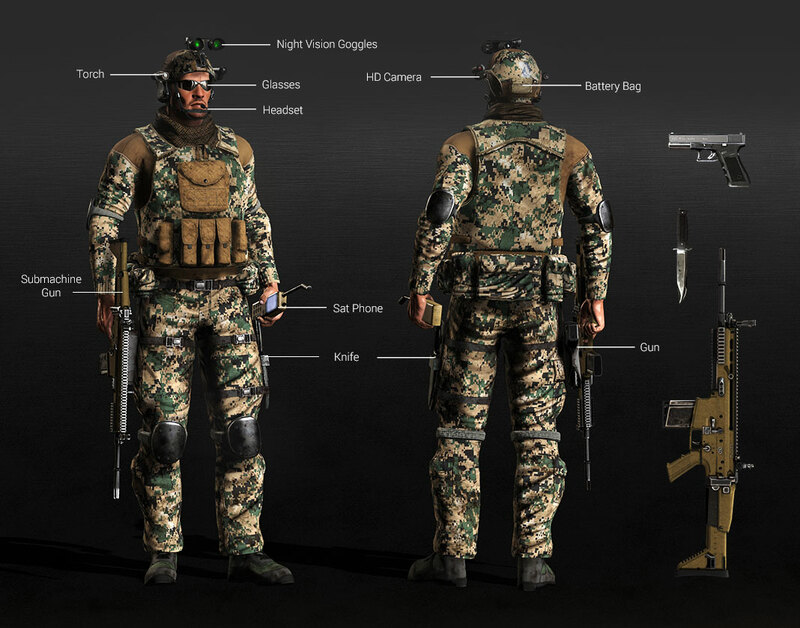 Delivers a big amount of high detailed weapons, accessories and other stuff used by the soldier characters in their missions. The use of PBR materials and optimized high definition texture maps, make the models looking extremely real. All guns, pistols, assault rifles, sniper rifles, and rocket launchers are replicas of real modern weapons that include shooting scripts which you can activate from the right-click menu. The unique weapon sounds are synchronized to different shooting rates, and the muzzle flashes also turn into light emissive elements that help increase realism in your scenes. Click the video above to see how the weapons work. A full range of modern military supplies will allow you to quickly setup a highly realistic battlefield. 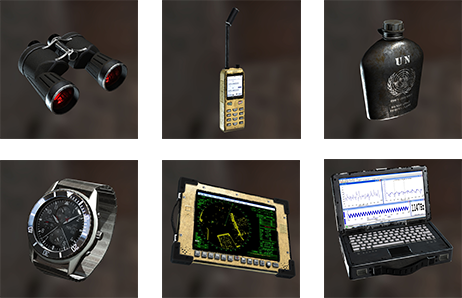 These props include binoculars, crates, and boxes for ammunition, medical supplies, laptops, satellite telephones, and much more.